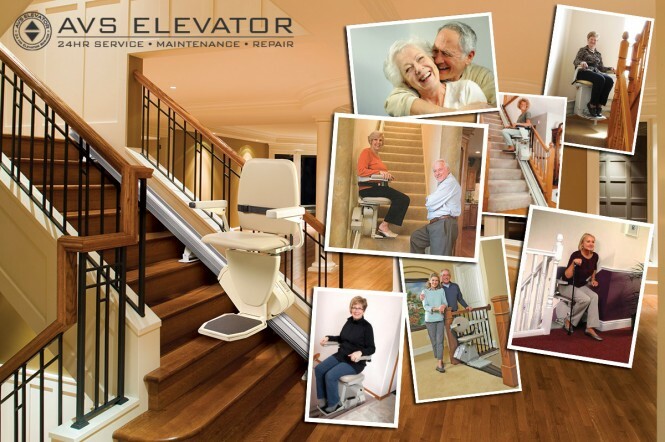 Millions Use Them, But Is A Stair-Lift Right for You? If you are not living in a single story house, stairs can present a real problem. If you can walk but have difficulty climbing stairs, a stair lift may be the solution. Stair lifts can help you and your family, once again, have full use of the home you love. But how do you know if a stair lift is the right option for you? Let the experts at AVS Elevator help evaluate your situation and come up with the right choice for your circumstances. How Much Will it Cost? You need to think about costs and the service offered. Take into account the after sales service offered, length of guarantee as well as the lift itself. How Much of a Mess Will it Make? Lifts are attached to the stairs rather than the wall and do not involve any major building work. AVS Elevator will take great care of your home, you will not have to repaint or redecorate afterwards. How Long Will the Work Take? You may be surprised about how quickly a lift can be supplied and fitted – often within a week of the first call. What Kind of Lift Will I Need? The AVS Elevator team will help you determine the right type of lift and the right options to fit you and your needs.